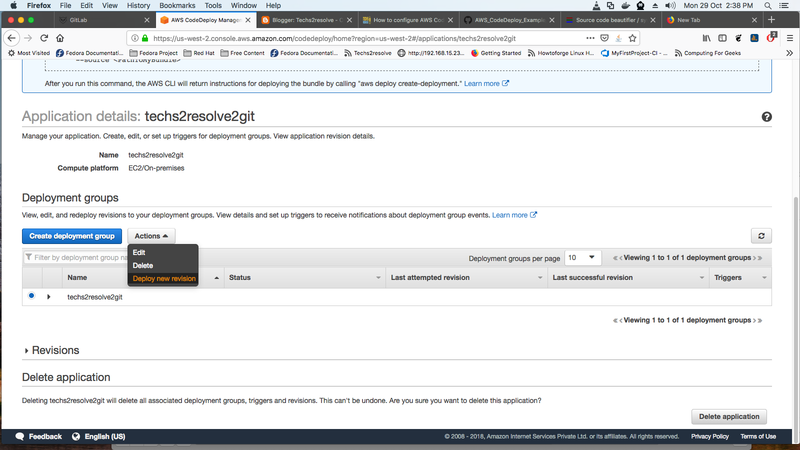 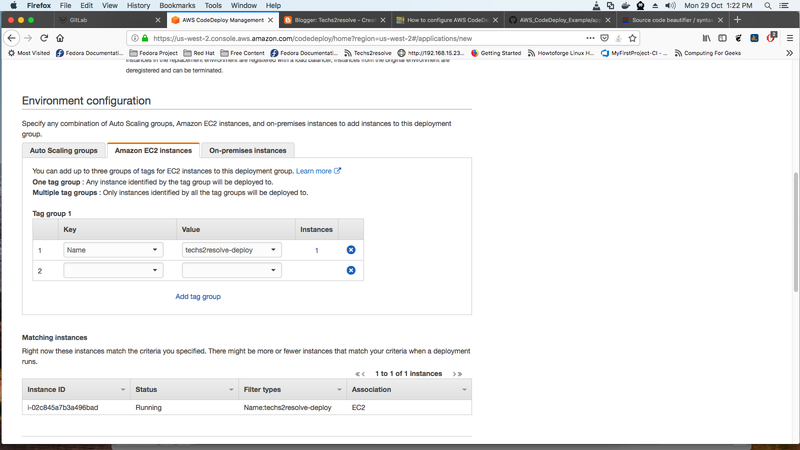 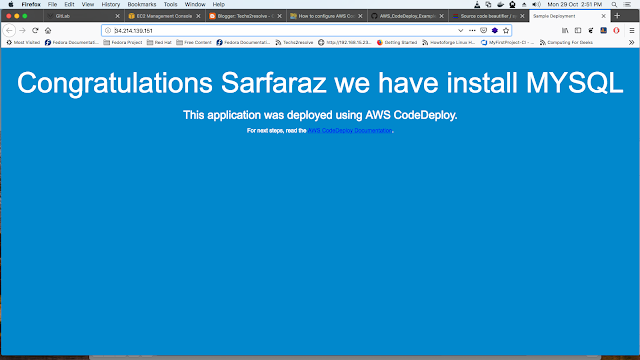 In this tutorial we will configure the AWS-Codedeploy service and AWS-CodePipeline service to make Continuous integration and Continuous deployment work. 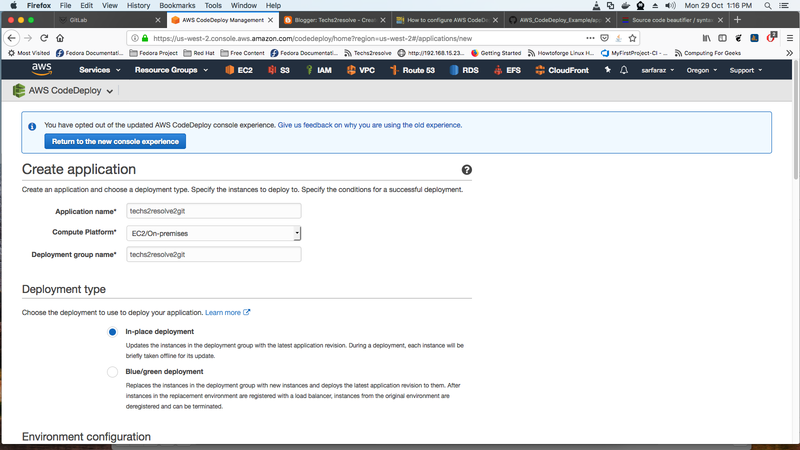 Also select In-Place Deployment as it is our requirement. 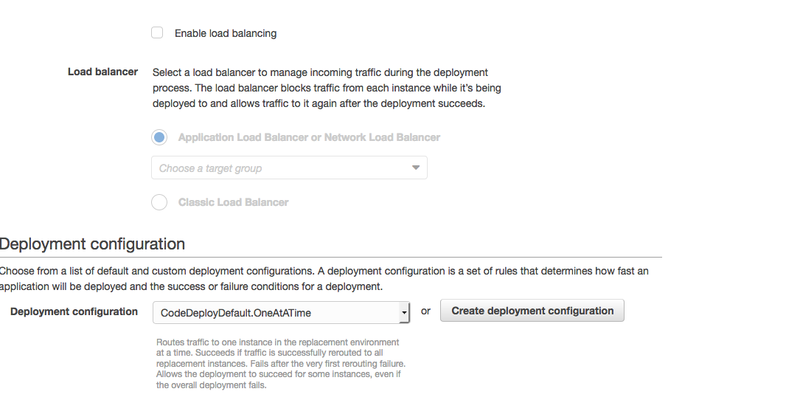 And also we are not using any load balancer for this demo so we are not selecting load balancer leave it as it is. Your application is created successfully. 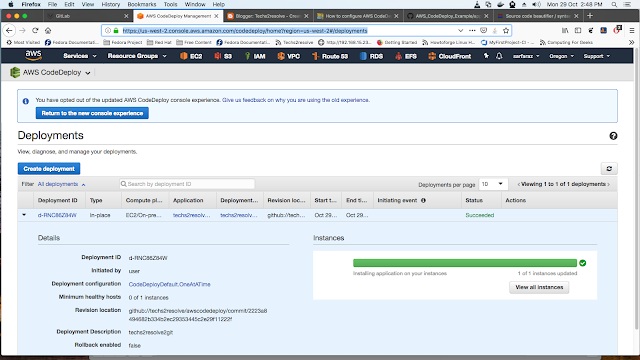 For testing purpose we will deploy the application manually test here. 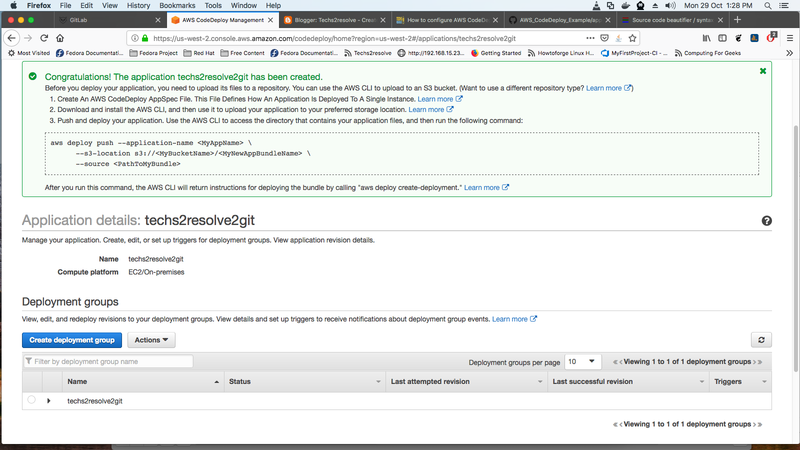 Application name and Deployment group will be selected automatically or you can select it. Select the option Github to connect with Github repository. 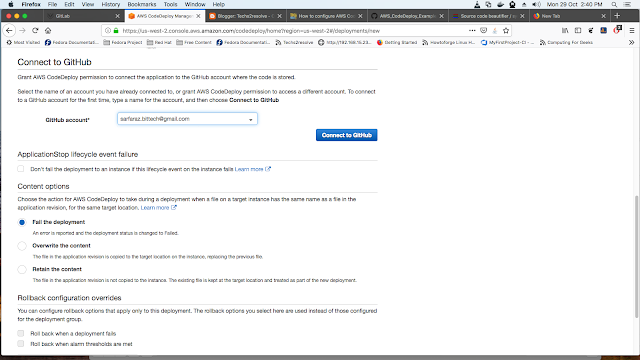 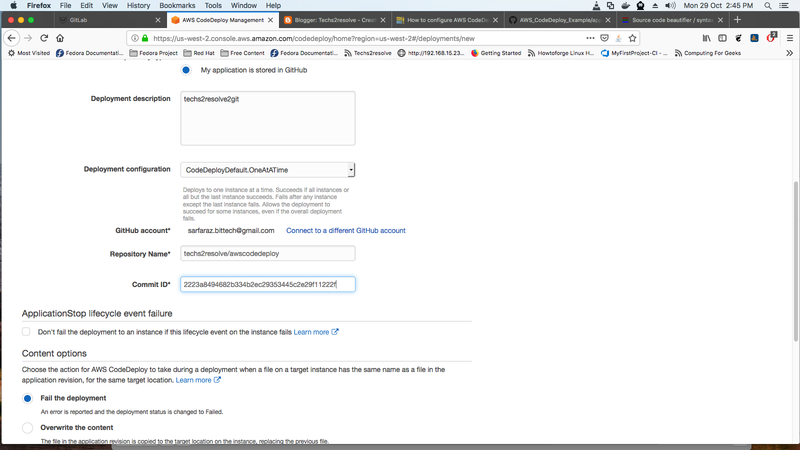 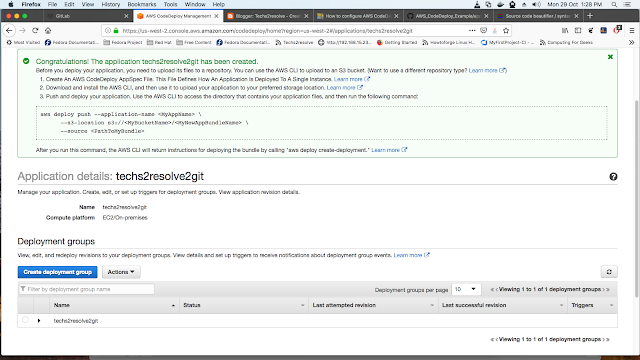 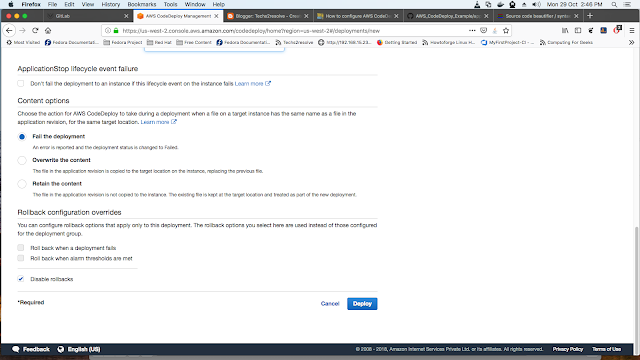 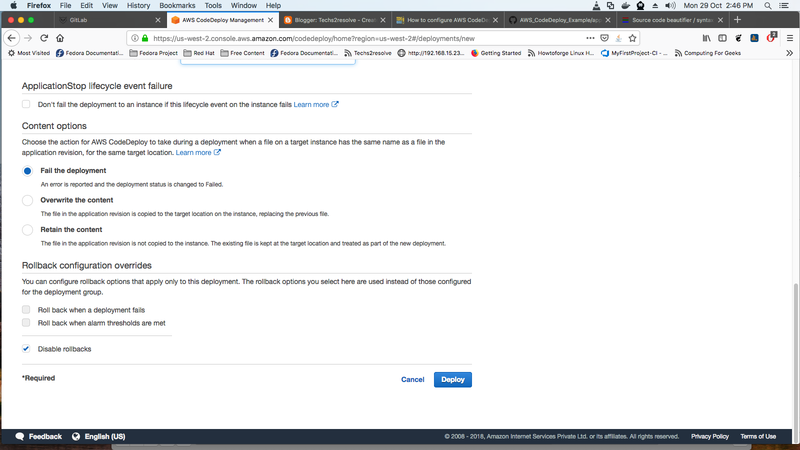 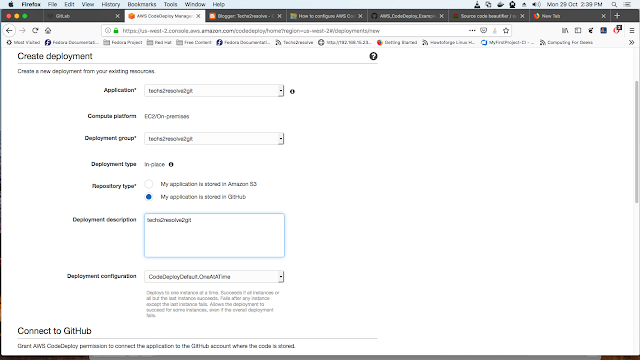 After you have selected github you will have to connect to authorize the github for aws and provide repository name and commit id. 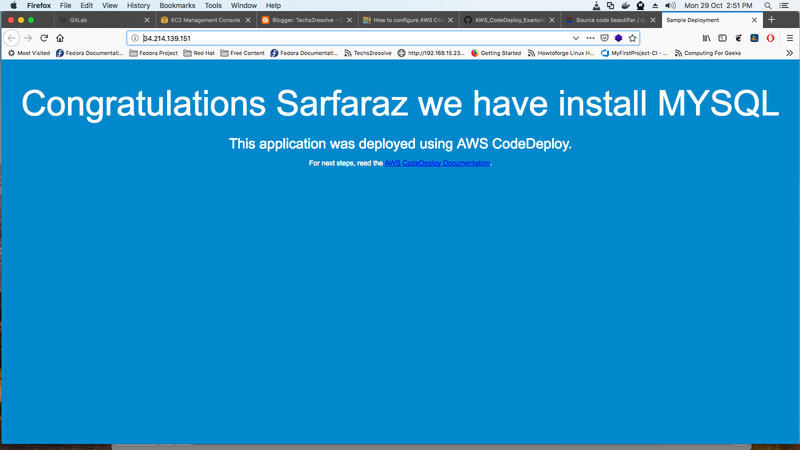 Once the installation is complete you will see the success message. Lets browse with IP to check installation.